Samsung is yet to officially announce the Galaxy S8 Android 8.0 Oreo beta but there’s enough circumstantial evidence to suggest that the beta will be launched soon. 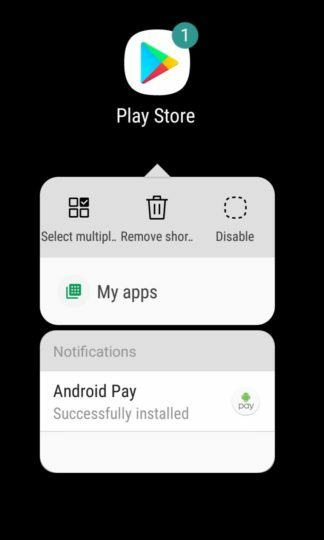 The first Galaxy S8 Android 8.0 beta screenshots have now been leaked by someone on Reddit who claims to have the beta running on their Galaxy S8. It has been revealed that the Galaxy S8 Android 8.0 Oreo beta brings Samsung Experience 9.0. The user interface is said to feel more smooth than before. Samsung also appears to have upgraded the camera interface to the one it introduced with the Galaxy Note 8. Reddit user thesbros mentions that there’s no noticeable difference in the battery life compared to Nougat and that the user interface is more or less the same. Samsung has added app shortcuts which can be brought up by long pressing on the app icon. The notification panel animation is said to feel smoother now. It looks the same but some items have a different spacing. It also includes the snooze and notifications channels from Oreo. Samsung doesn’t seem to have made any changes to some of its main apps as yet as the Contacts, Dialer and Email app are all said to be the same. You can check out the leaked screenshots down below. It may only be a matter of time now before Samsung officially announces the beta. Hmmm..was expecting a totally fresh new UI like how they did last year with the changes from marshmallow to nougat. This will be quite a major change for the S7/edge running on grace UX but for the S8 is pretty much the same UI as the dream UI.